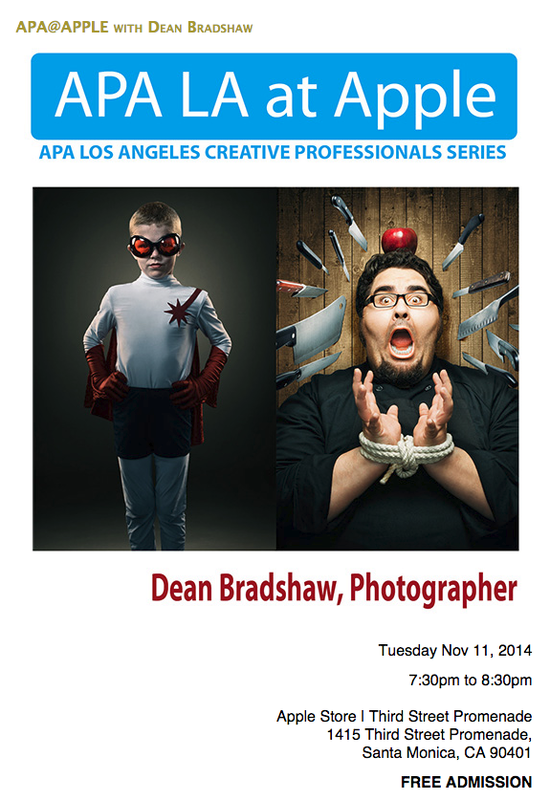 Join us as the Apple Store on Santa Monica’s Third Street Promenade as we present photographer Dean Bradshaw. Dean will explore the ingredients involved in creating stylistic imagery driven by emotion and character, much as a film director might approach a movie. Drawing parallels between still imagery and cinema and how he incorporates storytelling, character and well-crafted, stylized imagery Dean will touch on both his technical and emotional approach to his craft. Dean Bradshaw is an LA based advertising photographer and director with a unique visual style for clients such as American Express, Acer, Asics, National Geographic Channel and Wrangler Workwear.